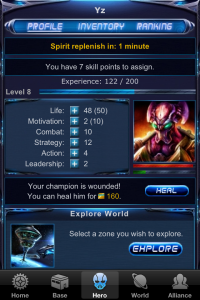 Xeno Wars is a free Massively Multiplayer Online Strategy and Role Playing Game for iPhone and Android phones. You are a commander, ruler of a newly founded colony responsible for decisions regarding every aspect of its existence. As a leader you’re going to assign your people to professions, raise epic structures, discover new advancements, take powerful actions and wage war with your enemies. Role Playing aspect of the game will allow you to pick a hero, who will lead your armies to battle, defend your base, search for an ancient technologies, gather experience, level up and enhance his abilities. Xeno Wars, being an Online game, allows you to play with thousands of people from all over the world. You can challenge them in the fight for power or create alliances and together dominate the world of Xeno Wars. The game offers you in-game chat and mail, trade, military, various pacts and other forms of player interaction. If youre looking for a challenging social game that rewards your strategic planning more than the amount of friends you have in your “army” this is something worth of having a look at. Xeno Wars now available on iOS devices! Xeno Wars now available on Android devices! 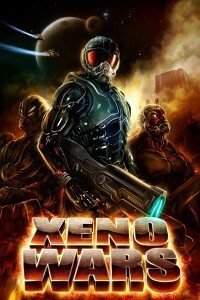 Xeno Wars in based on a classic RPG/strategy turn-based concept with it’s world placed in the distant future where mankind’s hunger for new technologies has spread to the stars. In the science fiction world of Xeno Wars you become a leader of freshly established colony responsible to build a star-base, push forward research of new advanced technologies and create powerful military forces to conquest further colonies. While carefully expanding your territory through economic development you will also face the inevitable wars that will consume resources, time and lives! Along the way you will require a true general to lead your galactic armada to space battles therefore you have to choose a hero, who will represent your intergalactic empire, defend it, gather experience with time, reach new levels of expertise and ultimately become stronger by boosting his own abilities. While your space commander will act as the leader and the general of your armada it will be up to you what skills or which colony you wish to invade at the certain time. Along your journey your chosen one will discover alien technologies that will aid your colony on the mission to conquer the galaxy. It will be up to you to give that command for the powerful military action to aid and help you allies and your own colony or sabotage the empire of space ruler that crossed your way. The choice is yours. We are proud of the strong fan base being constantly active within the world of Xeno Wars. In the created by us science fiction world you can invite your friends and form unstoppable alliances, establish guilds and sign pacts that can change the order in the galaxy. 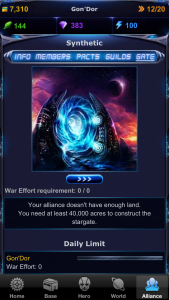 The galaxy of Xeno Wars is constantly evolving by being boosted with new units, buildings, spells and even game modes as our galactic realm is looking to expand it’s game play furthermore. Although Xeno Wars may not run the newest and flashiest graphics engine we still took great care in designing colourful and mesmerizing images to make the gaming experience simple and intuitive yet stimulating and enjoyable for any sci-fi fan out there. Xeno Wars is a sister to our as popular fantasy equivalent Dragon Lords and we are proud to offer an alternative for the enthusiasts of space, aliens and galaxies far, far away. Although Xeno Wars came second from our development stable we still put great care into satisfying players needs, solving problems and looking for new ways to improve the game. That is the benefit of a small indie studio – the passion and laser focus on every single one of our releases. It’s time commander! Time to raise the star-base, tame the Leviathans in the galaxy and become the Xeno Lord! We shall meet in the void of the space! ps: Please bare in mind Xeno Wars requires internet connection to play the game!